Sarah Palin was speaking in Charlotte, North Carolina at the weekend to the National Rifle Association (NRA)…mainly about the prospective threat to civil liberties from gun control. It was her beginning, however, that was noteworthy. That’s because when she referenced an earlier radio interview Palin was able to bring up the subject of being a “redneck”. And, once she’d done that, she could introduce “redneck” jokes. Jokes that she told, of course, in a very self-deprecating style. 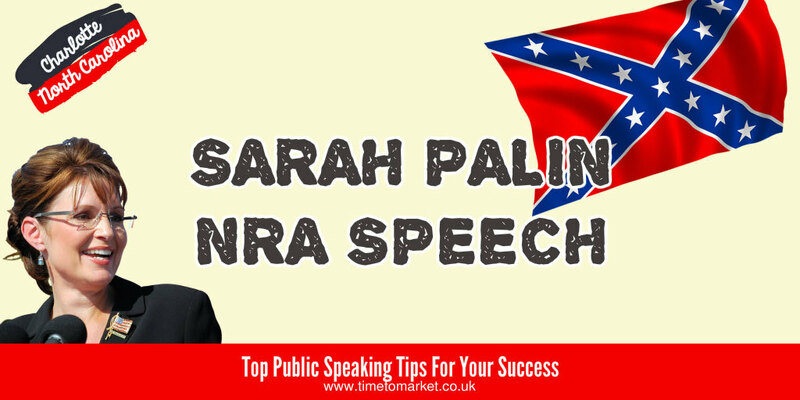 So, a very sound technique for this Sarah Palin NRA speech. As she read “redneck” jokes from her Blackberry she gave the visual impression of a stand-up comedian reading one-liner text messages from their mobile phone. And if anything, it’s become quite common for stage comedians to do so. But, it’s also quite a feat for a good speaker to pull off. We note of course, that she’s got to improve when she comes across a teleprompter freeze. She did definitely get away with it. But, at times it was definitely touch and go. This humorous start to her NRA speech then allowed her to build more substance. And she achieved this with the sense of pride and purpose that she and her audiences feel. An intriguing beginning to a purposeful speech to a very appreciative and loyal audience. However, we have to note that this purposeful nature is quite at odds with the experience of the Donald Trump CPAC speech. This is politics! 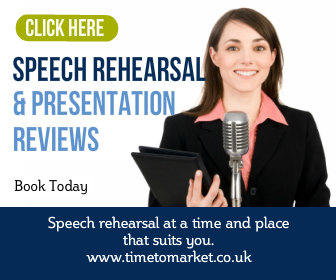 You can always discover plenty of public speaking tips, hints and ideas with our regular series of tips for speakers. And, because there are more than 100 top tips, podcasts and videos from which to choose, there’s definitely something for every event. 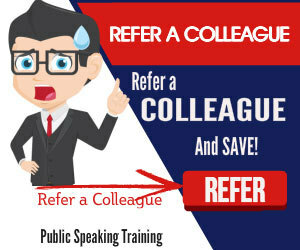 Plus, when you are ready to give your own public speaking skills that extra edge, then why not consider a training session? Because a well-constructed training course will give you that much more confidence with which to work. So, when the time is right, please don’t hesitate to get in touch. Previous Post Thank You And Goodbye. Speech Is Brown’s Downing Street Exit Next Post Tweedledems Speech. Clegg Late For An Important Date?